Pudding is always a much loved dessert recipe in my house. I often make my own homemade pudding from scratch to avoid artificial ingredients. Making pudding is seriously easy and takes only a few minutes, other than time to chill. 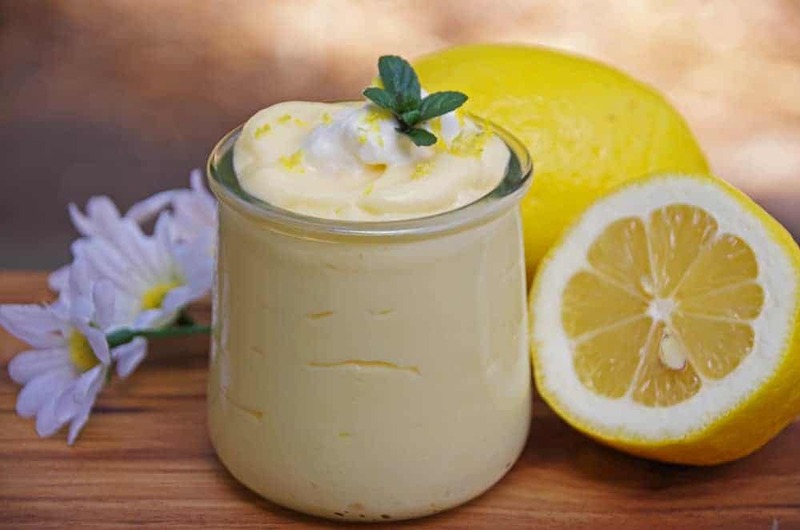 This homemade lemon pudding recipe uses fresh lemons and whole milk. Simple ingredients make this homemade pudding quick, easy, and delicious! Hand held mesh strainer: Homemade pudding can be a tad bit lumpy. Strain out the lumps with a wooden spoon and mesh strainer. You will strain out some of the lemon zest. It is up to you if you prefer a very smooth pudding. Citrus Zester: You seriously cannot live without a citrus zester when using fresh lemons! Small Citrus Juicer: I have one with a strainer for capturing all those pesky seeds. You could certainly try making this pudding recipe with a bottle of lemon juice but I really don’t recommend it. 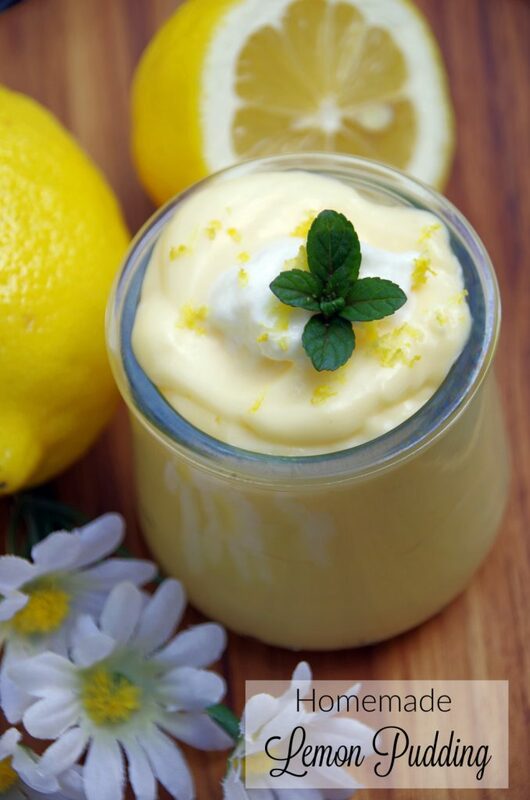 This lemon pudding gets a boost of flavor from lemon zest. If you don’t have fresh lemons, you could add natural lemon oil or lemon extract for additional flavor. To choose the best lemons for this homemade lemon pudding recipe, look for ones without blemishes. 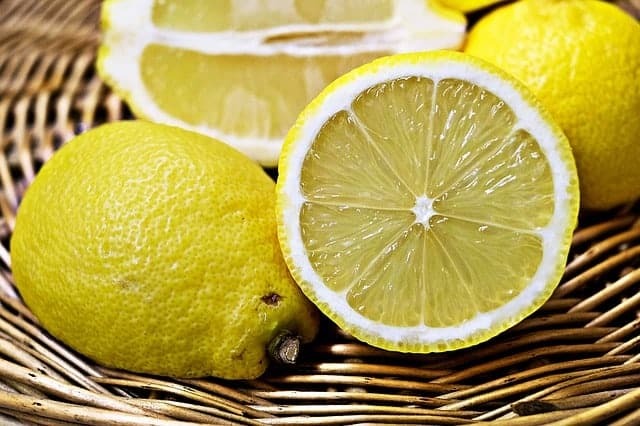 You want firm lemons that feel heavy for their size and have no green areas, which indicates that they are over ripe. Avoid very pale lemons since those are probably old and will contain less juice. 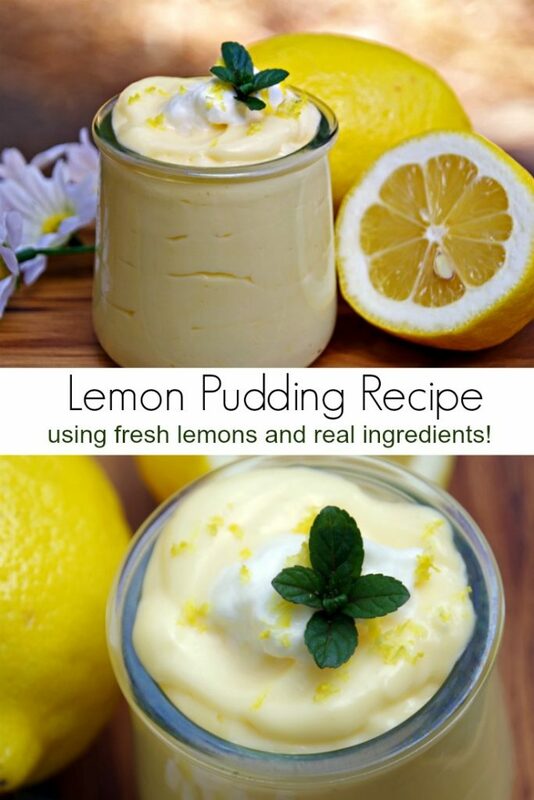 The best lemons for this homemade pudding have smooth, thick skin to provide lots of lemon zest. I highly recommend using whole milk or even half and half for this lemon pudding. Yes, it is higher in fat, however, homemade pudding tastes SO much better with full fat milk products. Top your homemade pudding with some real whipped cream and enjoy a little bite of heaven after your next meal! It is so much better than boxed pudding mix! This homemade lemon pudding recipe uses fresh lemons and whole milk. Simple ingredients make this homemade pudding quick, easy, and delicious! In a large sauce pan, combine sugar and corn starch. Whisk lightly to mix. Pour in milk and add beaten egg yolks. Cook over medium heat, stirring constantly, until mixture is thickened and coats the back of the wooden spoon easily. Pour in lemon juice and add butter. Stir until well mixed and butter is melted. Chill 2 hours and serve!